What was originally thought to be an April Fool’s joke turned out to be a reality, and now it’s on the horizon. 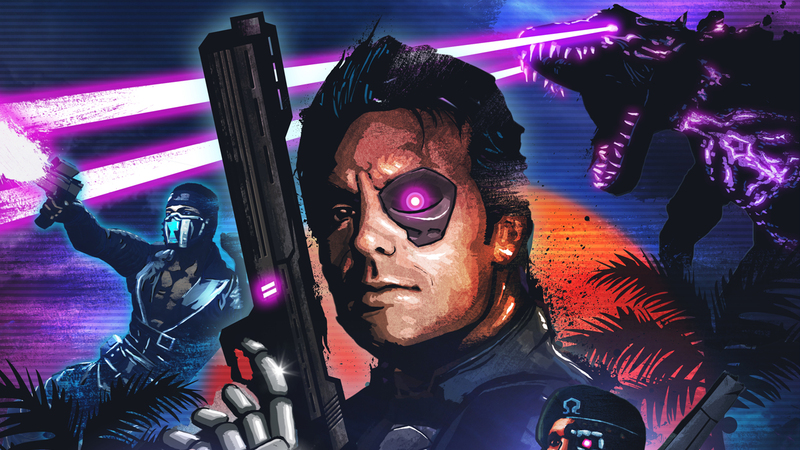 Far Cry 3: Blood Dragon, a completely off-the rails standalone expansion featuring cyber weapons, neon lights, and yes, Blood Dragons, releases May 1 and now there is a walkthrough video for it. Dean Evans, creative director for Blood Dragon, is clearly deranged, something that is reflected both in the game and in this highly-entertaining video. At its core, this does still seem to play like Far Cry 3, with takedowns, camps to take over, and side missions to tackle. Of course, it’s all done with that 80s flavor and an absurd amount of neon lighting. It will also be interesting to see where Evans goes from here–the man clearly has a flair for silliness, as well as a sharp wit. Will you be picking up the $15 expansion next week? Tell us in the comments, or discuss Blood Dragon in our forums!